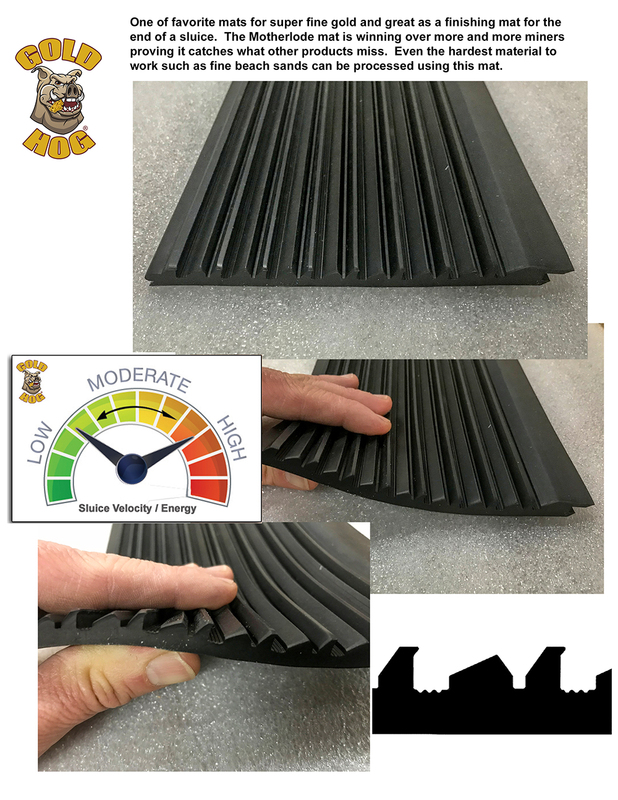 The #1 High-Tech sluice mat in the USA. Technical Info is Below ↓ order buttons for the mats. If you are READY to order chose your country. Watch the video below ↓ before you order. Which Mat to Use? How to cut them? Most mat orders ship the next BUSINESS DAY. U.S. orders ship via UPS. Outside the lower 48 and international ship USPS Priority Mail. We generally stock about $ 1/4 million worth of matting at all times, ready to ship. 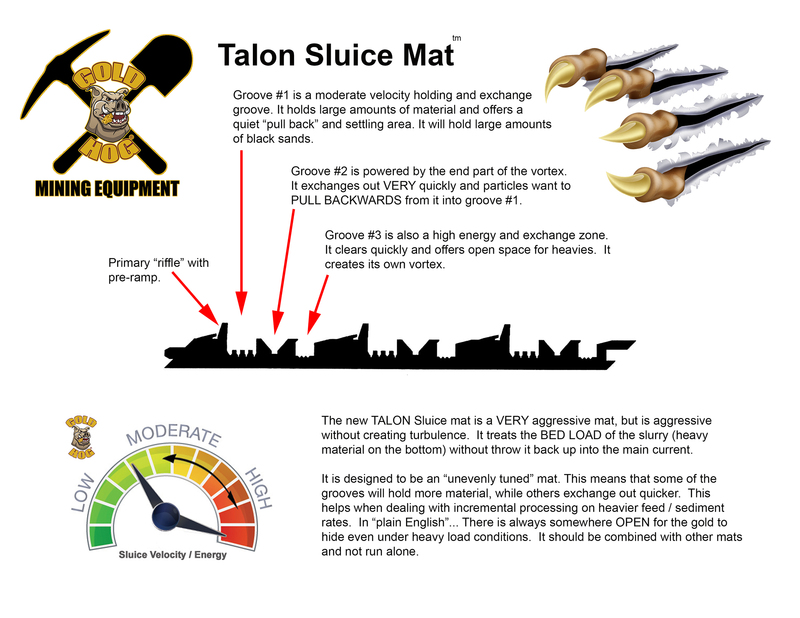 The Talon mat is Doc’s #1 workhorse mat. It has a massive BITE… but not a lot of turbulence. 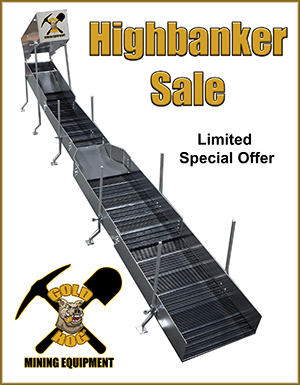 Great for highbankers, dredges, and stream sluices that have strong flow. 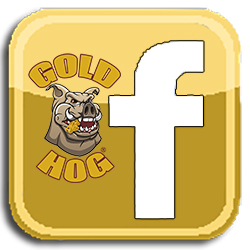 It’s great for catching a WIDE variety of gold shapes and sizes, from large nuggets, to super fines. If Doc could only chose ONE MAT in his highbanker… this would be it. 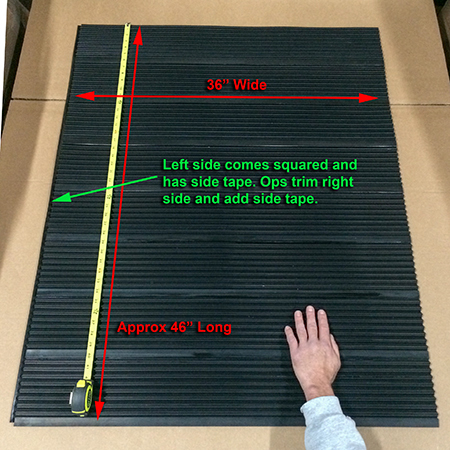 Like ALL our mats it is sold in 36″ (wide) x 6″ (long) STRIPS only that you cut to size and glue. Yes, we said 36″ wide, watch the video above if you don’t understand that. 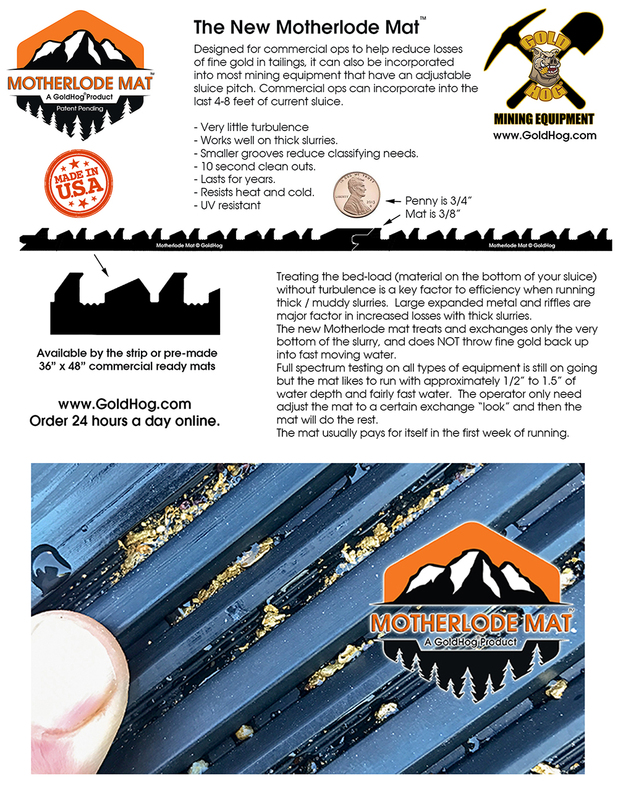 Quickly becoming the industry’s #1 mat for SUPER FINE gold, including beach gold, the motherlode mat is a great performer in just about all sluices. Most people use it at the END of their sluice system. Some use it exclusively because they are targeting 100 – 300 mesh flour gold. The scrubber mat is designed to LIFT the slurry, then let it fall onto the capture surfaces following the ramp. Note… there is NOT an aggressive vortex after the ramp. It’s a different concept than most visualize. We like to add a few pieces of scrubber to just about everything we run because of this feature. 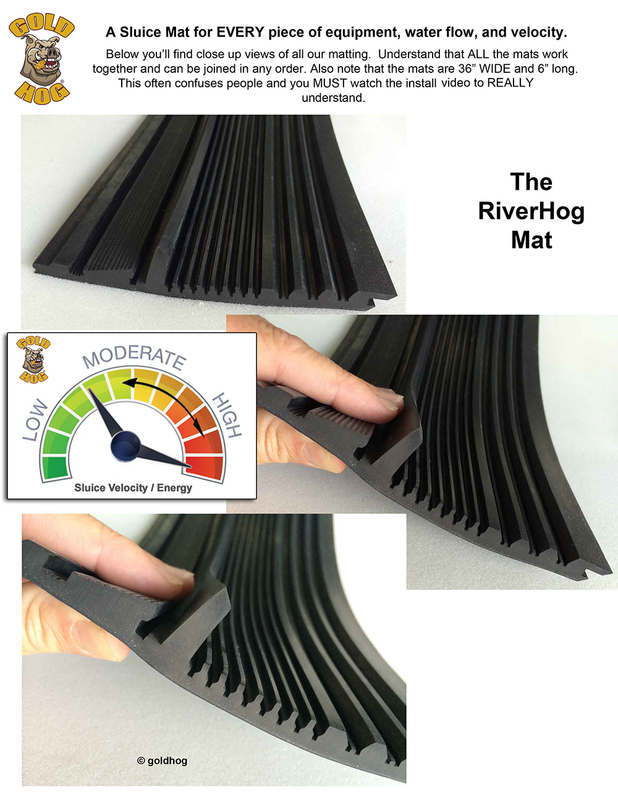 The Riverhog mat creates a strong CUTTING action and a strong vortex. Much like a tradition riffle. The awesome thing about the Riverhog riffle is that it can be trimmed to YOUR needed height, and to either a cut or throw angle. (Explained in the video) You can use it in ANY sluice as long as you match the water depth with the riffle height, but it’s great for the top of dredges where water is rough as well. The UR mat has ZERO flow interruption and only processes the BED LOAD of the slurry. Think of it as a SLICK PLATE that actually captures gold… instead of it just riding by. 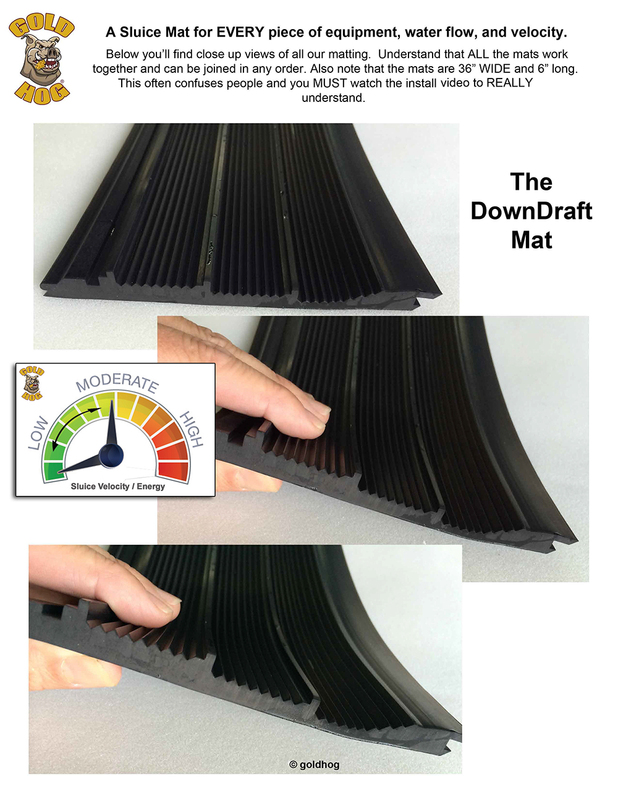 The downdraft mat works well in lower velocity settings. It’s step down design presents 3 different exchange areas and all these areas will look different at shut down. 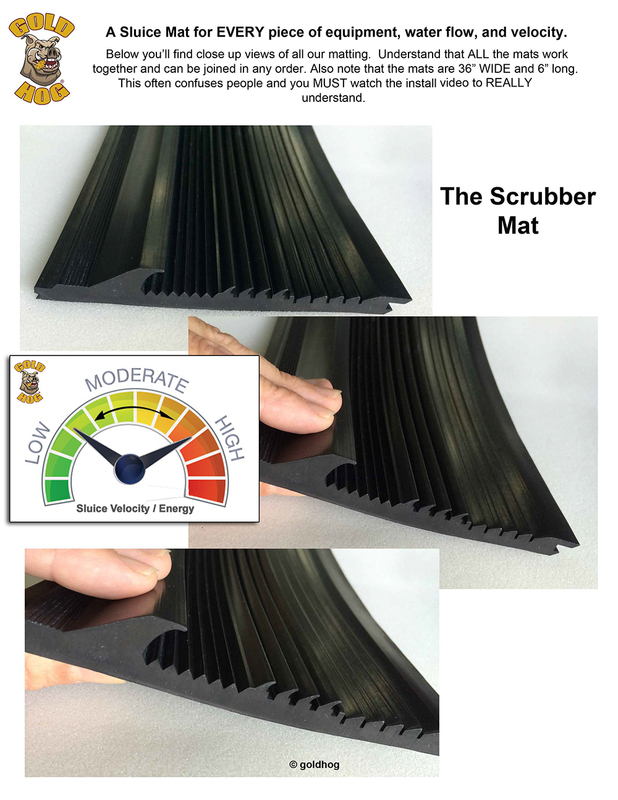 Do NOT use this mat in sluices that are HIGH energy such as dredges. We use this in more calm and smooth areas such as extensions and flares. 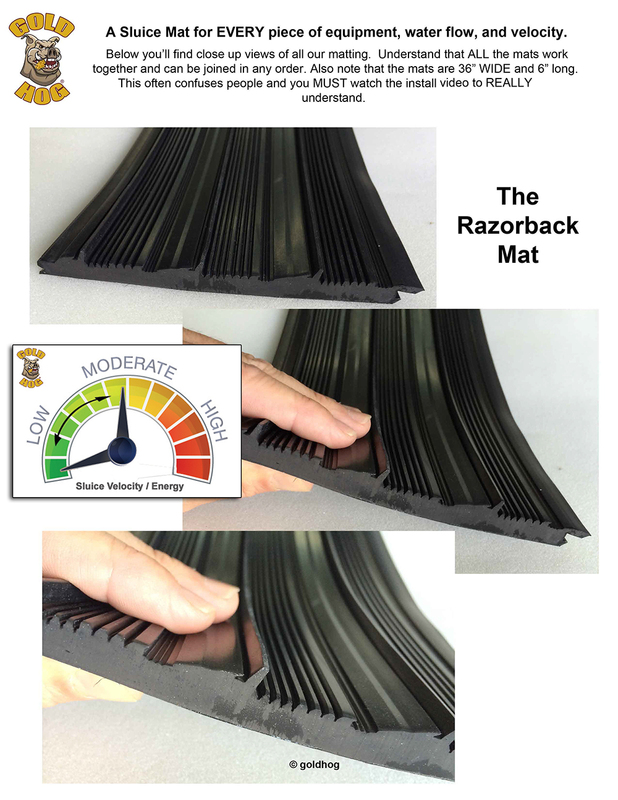 The Razorback mat has been redesigned for 2018. It can now handle higher velocity water and is a good mat. It replicates more of a traditional RIFFLE. 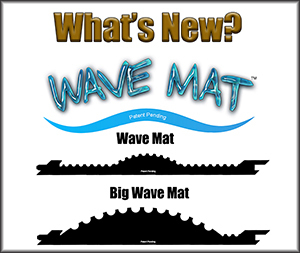 We like to use a few of these mats in our run and is a good mat to pair with Talon and Riverhog. 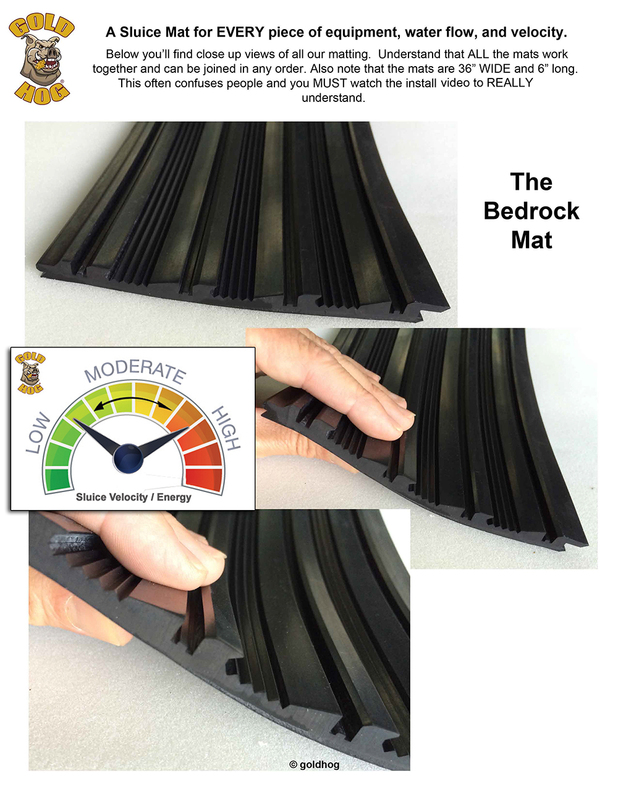 The Bedrock mat is NOT a primary sluice mat. 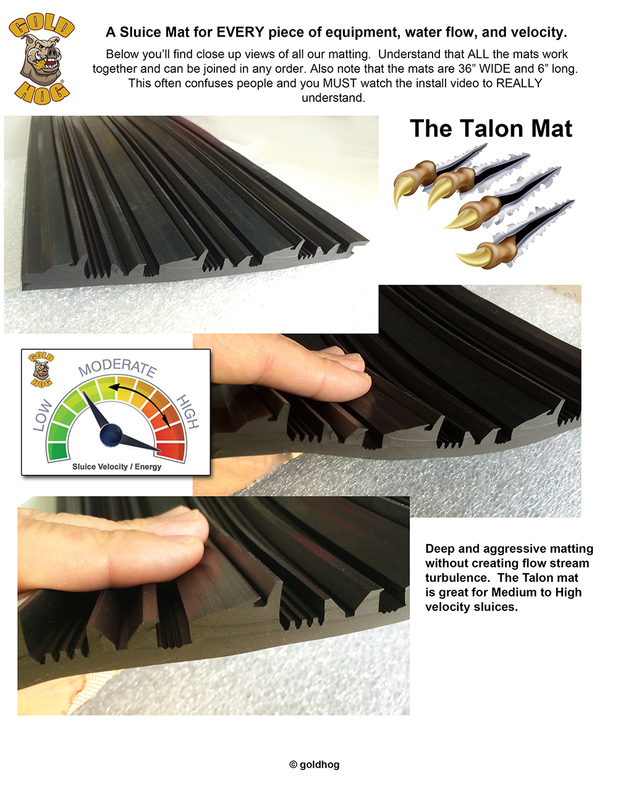 It is the smoothest running of all our mats and should be used as a finishing mat near the end of a sluice. It likes think fast water and does a great job on super fine gold. 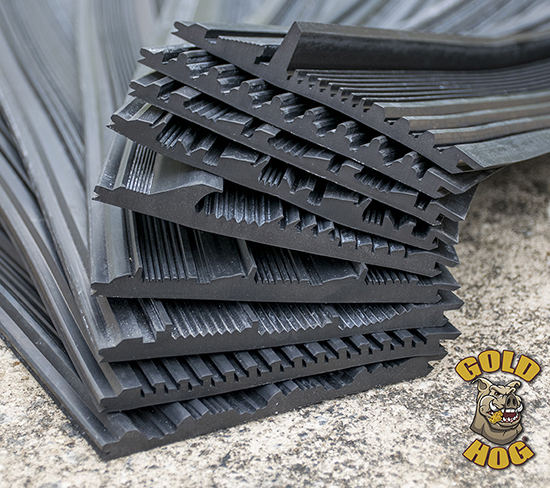 The Yukon mat was originally designed to be used under 4 pound large expanded metal for commercial ops. 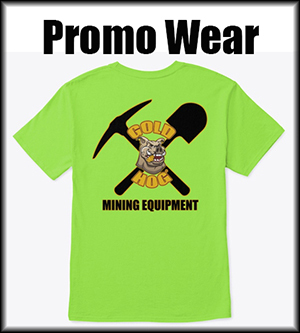 However, after testing it BARE… many prospectors simply LOVE it for fine gold. Many people running beach sands use this mat and motherlode mat alone for 100 – 300 mesh gold. 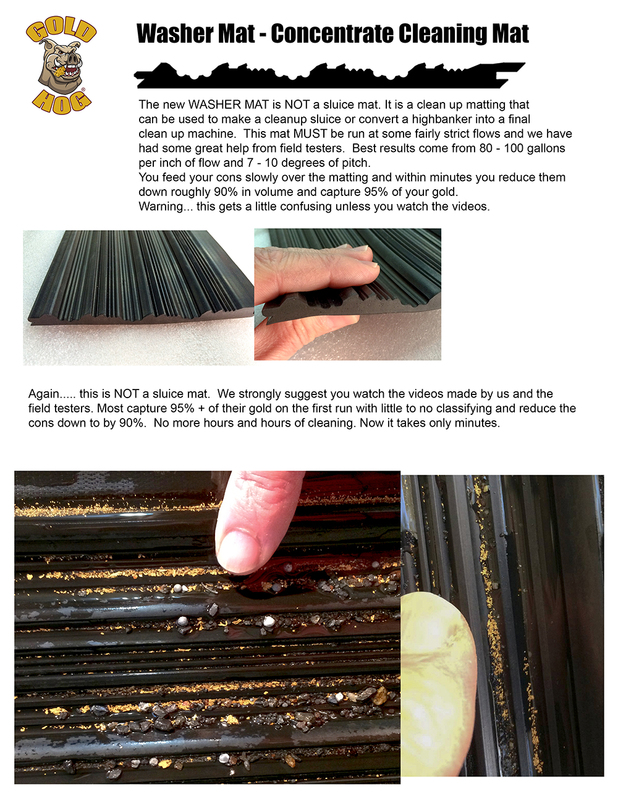 The NUMBER ONE job of the washer mat is a STRIPPING mat in the Multi Sluice. However many prospectors now use it on fine beach sands as well. We currently offer 2 of our mats in a commercial size for ops. 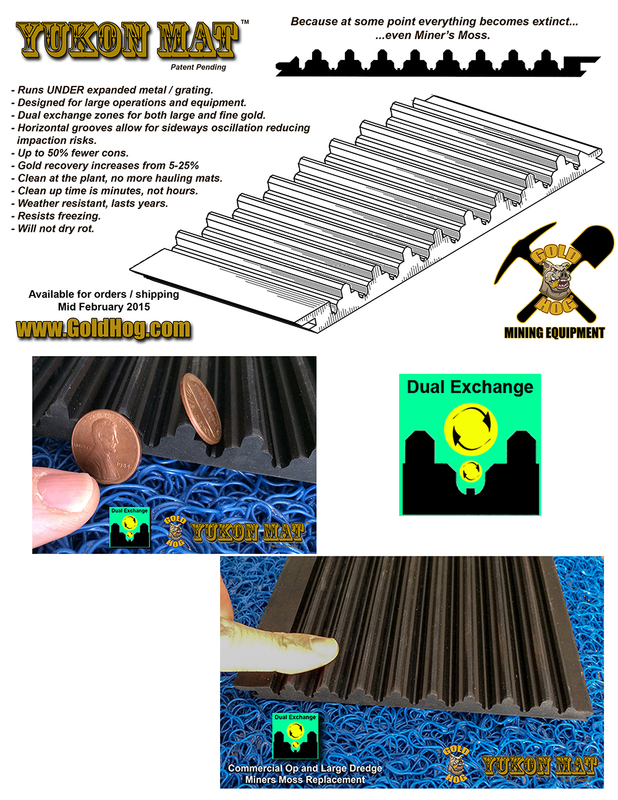 We offer the Yukon mat and Motherlode Mat. 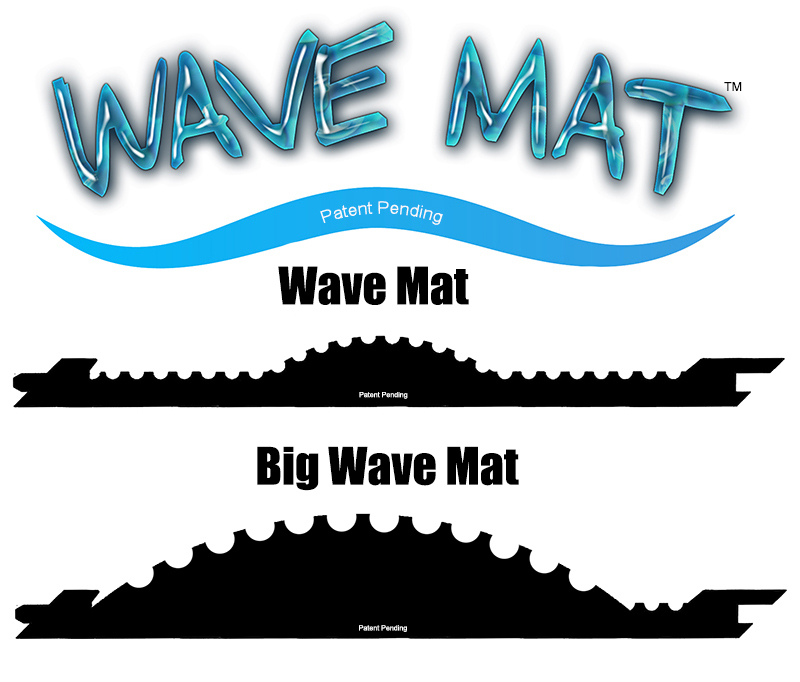 The size of these mats are… 36″ wide and roughly 46″ long.